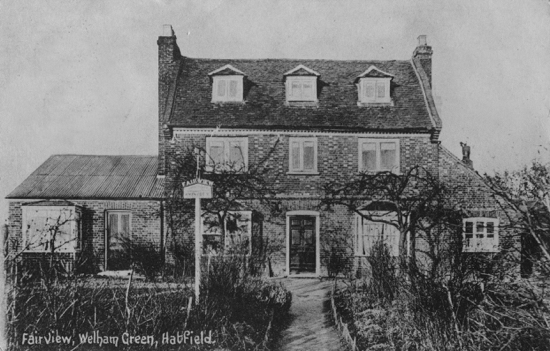 Our village of Welham Green lies between Hatfield and Potters Bar and has grown from a hamlet, as I first remember it, to what it is today. 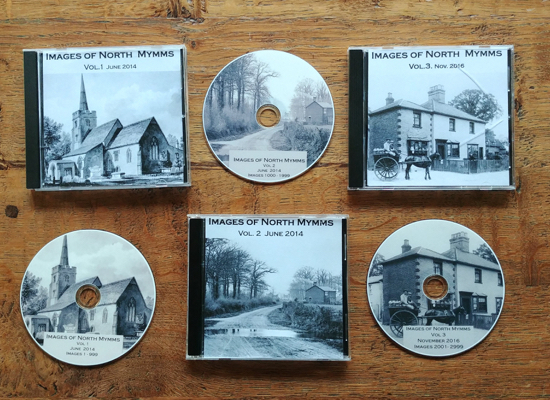 I still live in the same house that my father built about 1905 before he was married, so I have many memories, some of which I will tell you about. 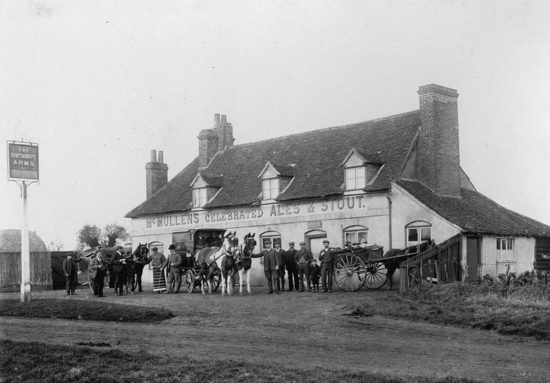 We had no railway station or buses in those days, so we had to walk to Potters Bar or Hatfield to get a train. 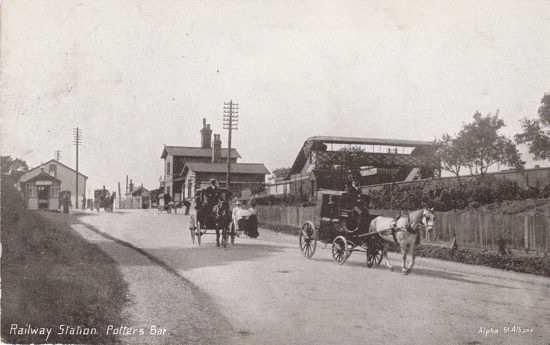 It was usually Potters Bar where we walked along the cinder path by the side of the railway. 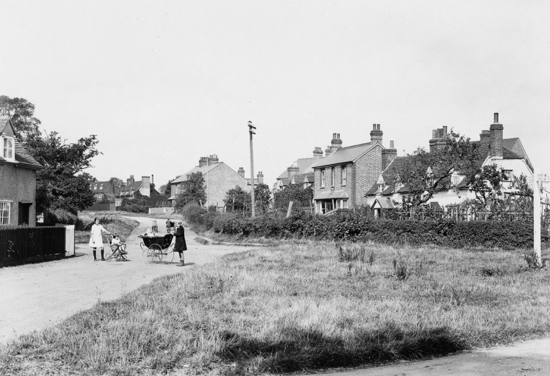 We also had quite a walk to school at Water End, which sadly is no longer there. 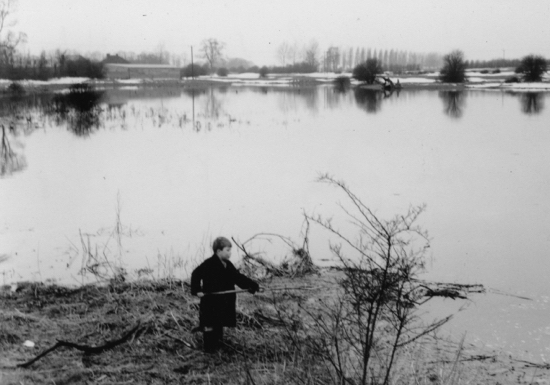 In the summertime we walked across the fields to school, but in winter we had to keep to the roads as the swallow holes at the back of the school were flooded and the water rushed under Teakettle Bridge nearby. On wet days, the school had slippers and socks for us to change into, and hot cocoa was made for us on the round coke stoves. The boy's school was situated in the village and part of it still remains. 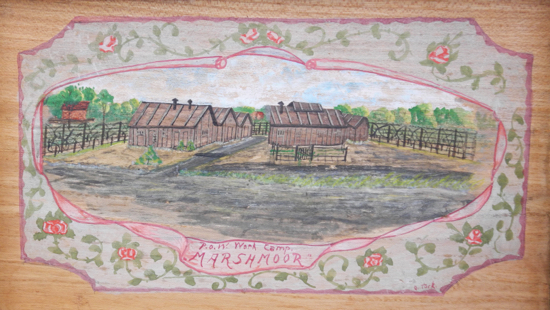 During the 1914-1918 war, we had a German prisoner of war camp opposite where our railway station is today. 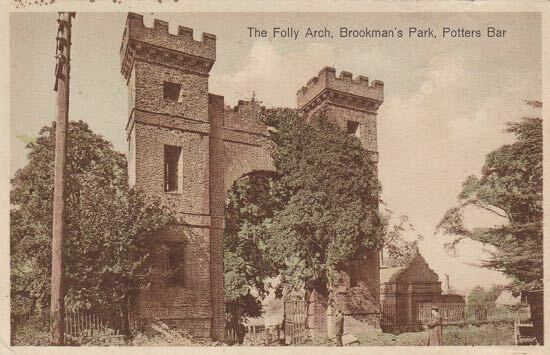 My father was a builder in the village and he had to build a brick silo for Mr Crawford at Potterells Farm, and he had two of the German prisoners from the camp helping him. They learnt quite a lot of English, and it was great fun listening to them. We used to fetch our milk in cans from Potterells Dairy, where they had a herd of Jersey cows. Later we fetched it from Potterells Farm where Mr Crawford lived. Among the happy memories were the lovely hay making days and all the picnics in the hay and catching tiddlers in the stream nearby. During the war and post-war years, we also went gleaning for leftover corn in the fields for our chickens, which a lot of us kept in our back yards along with rabbits, a ferret and a jackdaw. 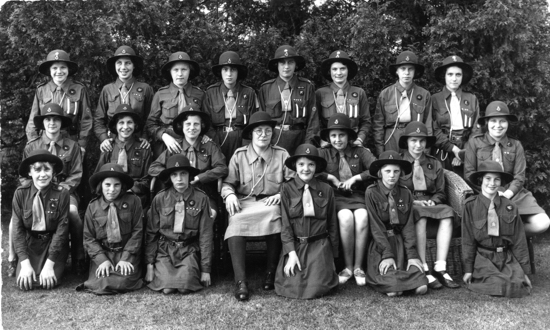 We had fetes too, which were held at North Mymms Park, Potterells, Abdale and Hawkshead House, also Girl Guides, Brownies, Scouts and Cubs. 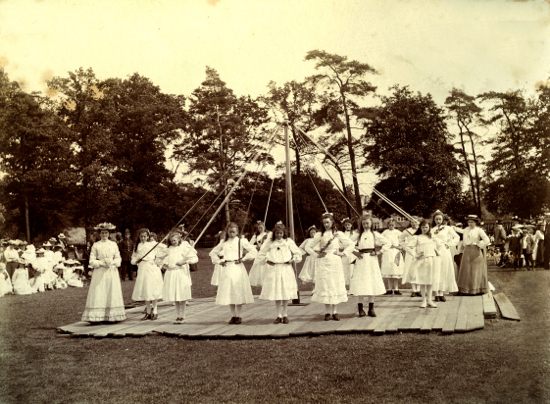 We also used to do country dancing and dancing round the maypole. We have a lovely old church in our village, built of flintstones and is about a mile from the village. My parents, also grandparents, were all born in the village. My grandfather lived in Welham Farm, which was next to Fairview in Station Road, which used to be a shop in those days. My father was a bellringer at the church for 50 years and my mother was in the church choir for many years. 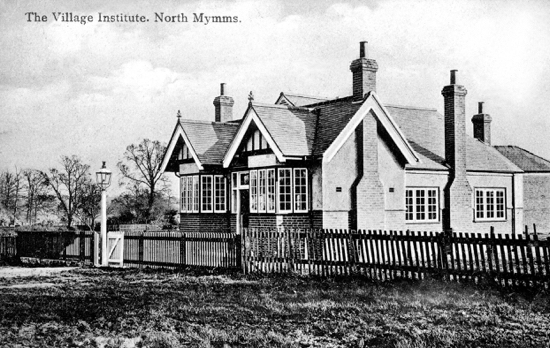 As regards halls in the village, we have North Mymms Memorial Hall and next to it, the Men's Institute. A little way down the road is the Youth Centre. The Mens' Institute is the oldest of them and the flower shows used to be held there along with the whist drives. The flower show is now held in the Youth Centre, along with other activities such as wedding receptions and parties. 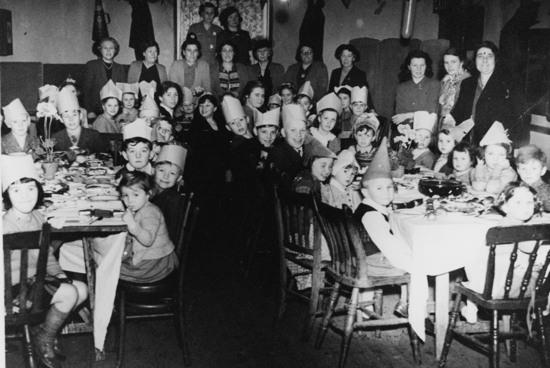 We used to have a Scout House in Dixons Hill Close, where so many functions were held in the past, but sadly that has now gone. 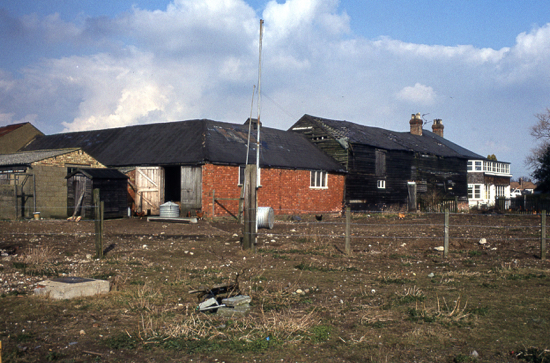 Behind the Sibthorpe Arms pub in Station Road there used to be a large wooden shed. We children were encouraged to go on stage and sing a song with a prize for the best singer. One of the songs we had to sing was, "I'm lazy, I'm lazy". What fun it was, no sound came from some of us when we tried to sing. In front of the Men's Institute to the left, on the grass, the village pump was situated where the menfolk came with their yokes on to carry two buckets of water back. To finish with, and what gave me most pleasure, was to sit in the hip in front of a lovely fire in the kitchen range, having my bath. 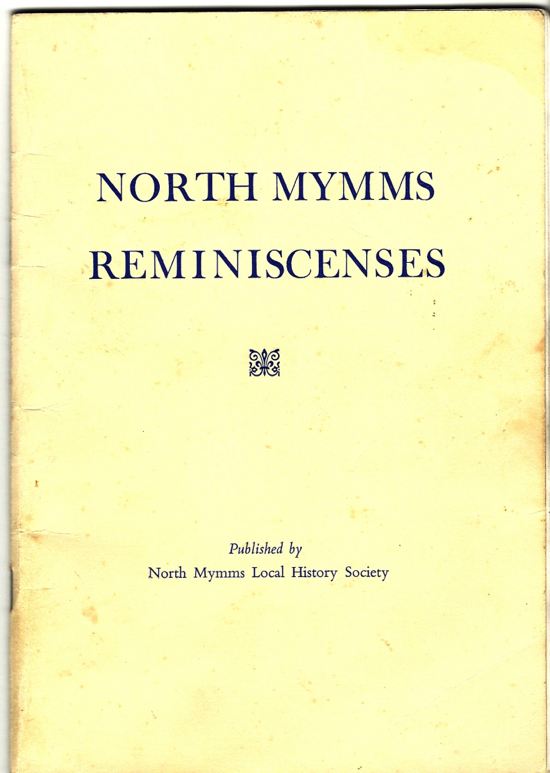 Below is a scan of the cover for the publication.